Keep your insulin cool without refrigeration! Duo-Pen for one or two pens, Large for pens and bottles. 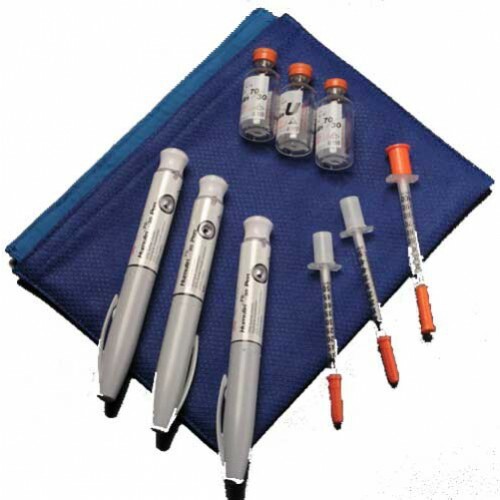 Keeps insulin bottles or pens cool without refrigeration. Activate with just tap water. Can be used and re-activated a hundred times. Stays cool up to 4 days. Size Options: Small, Single, Double, Large, xLarge. Color Options: Cobalt Blue or Charcoal Black. Upon first appearance the Poucho looks questionable as to being able to do what is stated in the product writeup. I will not be using it until later this month for a trip out of the U.S.; this will be the real test! I will use you again,primarily because off the help and service of Matt in orders. You may add the above to this review. I bought it for my husband who is diabetic. He has not had a chance to use it yet. He wanted it in case he were to go on a trip away from home.